Pro-Change Behavior Systems, Inc. and the Hazelden Betty Ford Foundation (HBFF) signed a Distribution Agreement to promote, market, sell, and distribute Pro-Change’s Youth and Adult LifeStyle Management Suites of programs to schools, community health and mental health centers, addiction treatment facilities, and other organizations. For the first time, Pro-Change’s evidence-based youth programs will be offered as a collection titled Youth LifeStyle to include Health in Motion: Obesity Prevention; Stand Up: Bullying Prevention; Teen Choices: Peer and Dating Violence Prevention; and Keepin’ It Fresh: Tobacco Cessation. Future courses will be added for cessation of alcohol and other drugs and emotional regulation skill development. The Adult LifeStyle suite offering will contain Pro-Change’s URAC award-winning programs–exercise, stress management, weight management, healthy eating, depression prevention, medication adherence, and smoking cessation–all in English and Spanish. Future programs will include responsible drinking, sleep, and pain management. James O. Prochaska, Ph.D., Founder, and Janice M. Prochaska, Ph.D., President & CEO, of Pro-Change Behavior Systems, Inc. recently signed a book contract with , to write Changing to Thrive: Overcome the Top 5 Threats to Health and Happiness. Changing to Thrive will build on major breakthroughs in stage-based programs that have occurred since Changing for Good was published. These breakthroughs demonstrate how to overcome multiple bad habits and how to enhance multiple domains of well-being. The book will guide clients and professionals on how to apply the highest impact strategies at each stage of change. Interactive exercises will activate the right principles and processes of change to facilitate progress through each stage of change to empower readers to remove their biggest risks and gain the life-long rewards generated by the power to thrive. Pro-Change Behavior Systems, Inc. announced today that Sara Johnson, Ph.D., Senior Vice President at Pro-Change, will present at the 2015 HERO (Healthy Enhancement Research Organization) Forum, which takes placeSeptember 29 through October 1 in Chicago, IL. Dr. Johnson will present Ready or Not: Tailored Communication and Behavioral Economics Help Smokers Quit with Karen Horgan, President and Co-founder of VAL Health, LLC. The Forum is expected to include more than 400 employers, employee health management providers, industry professional organizations, and research experts. The presentation will include a case study that highlights the effectiveness of combining evidence-based tailored behavior change communications from Pro-Change’s award-winning Smoking Cessation Program with best practices in behavioral economics. 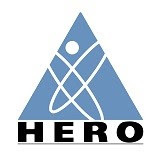 For more information or to register for the HERO Forum, visit www.the-hero.org, or call HERO at (952) 835-4257. The O’Neil Center, whose mission is to advance the science of patient and family engagement, recently sat down with Kerry E. Evers, Ph.D., Senior Vice President of Research and Product Development at Pro-Change Behavior Systems, Inc., to learn about the Transtheoretical Model. The interview, which focuses on the change process and how it impacts person and family engagement, was published in the O’Neil Center Newsletter in two parts. To read the interview that discusses multiple behavior change, patient and family engagement, and tailoring, click here. Pro-Change is home to the Transtheoretical Model. Tell us about the model. Who developed it and how does it work? The stages of change are key, but they are only one part of the full model. The TTM also includes the principles and processes of change – the “hows” of change that determine how we interact with people in each of the five stages of change to move them to the next stage. For example, many of us were taught that simply increasing someone’s knowledge about why they should do something – exercise more, for example, or quit smoking or eat more fruits and vegetables – won’t motivate them to take action on that behavior. While education is often not enough, it is certainly a critical part of the overall behavior change process. The success of using a process of change such as increasing knowledge depends on a person’s stage of change. Increasing knowledge of the behavior is especially important in Precontemplation when people are not yet thinking about taking action. By increasing their knowledge about the benefits of why the change is important, we help them move forward to Contemplation, the stage where they start to think about making a change. That’s the first step toward success. 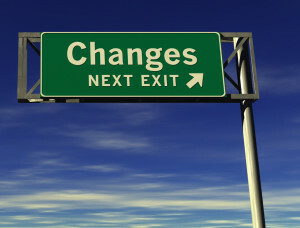 So the key is to use the full TTM, which includes tailoring the principles of change to the correct stage of change. What types of behavior change is the TTM typically used for? It’s been used in many different areas. Initially, the focus was on smoking cessation and other addiction behaviors including alcohol and substance use. But it’s now been applied to a wide variety of behaviors across many different countries and cultures, languages and age groups. It’s been shown to be effective with older elementary school students, middle school students, high school, college, all the way to older 2 adults. The behaviors include health behaviors such as exercise, healthy eating, weight management, medication adherence, and stress and depression management. The TTM is also used in violence prevention programs such as dating violence prevention, domestic violence prevention and bullying behaviors. It’s also useful for organizational change, financial behavior and more. It’s really widereaching in terms of how it’s been applied. What about its application to person and family engagement? the process of getting them to become more proactive and engaged. Why aren’t people ready to be proactive? engagement and behavior change in the long run. without having some level of engagement, people can feel a little bit lost. behavior change process is, we can help not only the patient but also the provider be more effective. See next month’s edition of the newsletter for Part II of Dr. Evers’ interview. Orbis Partners, Inc. and Pro-Change Behavior Systems, Inc. have signed a three-year contract to have Orbis distribute Pro-Change’s juvenile justice program, Rise Above Your Situation (RAYS). Orbis will also provide training to probation officers and counselors to facilitate the use of the program. The RAYS program is designed as an adjunct to traditional juvenile justice programs. It is a multimedia, computer-tailored intervention that relies on the Transtheoretical Model of Behavior Change (TTM) to help youth progress through the stages of change for ending criminal behavior and substance abuse. RAYS integrates best practices from existing evidence-based programs for juvenile offenders and substance abusers, and helps youth set personal goals. The RAYS program is currently being tested in a cluster-randomized trial funded by the National Institute on Drug Abuse. The trial involves 700 moderate- to high-risk juvenile offenders in Iowa recruited by 54 probation officers randomly assigned the RAYS condition or usual care. The program provides structure in the use of evidence-based practices. The reports facilitate communication and connection. The reports help to diffuse tension and conflict. As an adjunct to other juvenile justice services, RAYS can offer youth specialists a new tool for helping youth move toward the positive change that is necessary for success. 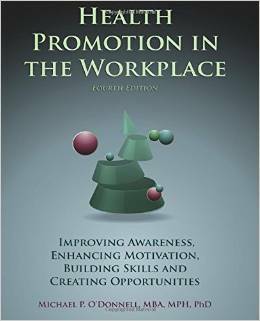 Health Promotion in the Workplace: Improving Awareness, Enhancing Motivation, Building Skills, and Creating Opportunities, edited by Michael P. O’Donnell, MBA, MPH, PhD, is a collaborative effort of the top health promotion scientists and practitioners in the field. James O. Prochaska, PhD, Founder of Pro-Change Behavior Systems, Inc., and Janice M. Prochaska, PhD, President and CEO, contributed a chapter on the Transtheoretical Model from conceptual framework, to a review of the empirical literature, to studies challenging the Model, to increasing impacts with multiple behavior change programs, and to enhance motivation and skill-building. The book, available on Amazon.com, has already been well received with hundreds of orders placed from students, consultants, employers, and health promotion vendors all over the United States, as well as Asia and South America. Efforts to translate Health Promotion in the Workplace into Chinese, Japanese, and Portuguese are underway. “The Coaction Issue” of The Art of Health Promotion was just published in the American Journal of Health Promotion. It includes three articles co-authored by Pro-Change Behavior System’s Sara Johnson, PhD, Kerry Evers, PhD, and Patricia Castle, PhD. The articles summarize and highlight several recent advances in multiple behavior change interventions, such as coaction and paired action. Thinking Differently about Steps to Behavior Change” on March 24, 2015, at 1pm Eastern. The Webinar, hosted by Dr. Paul Terry, editor of The Art of Health Promotion, will include Dr. Johnson, Dr. Evers, and Marie-Josée Shaar of Smarts and Stamina. To learn more, view the articles on coaction in the March/April 2015 issue of the American Journal of Health Promotion.